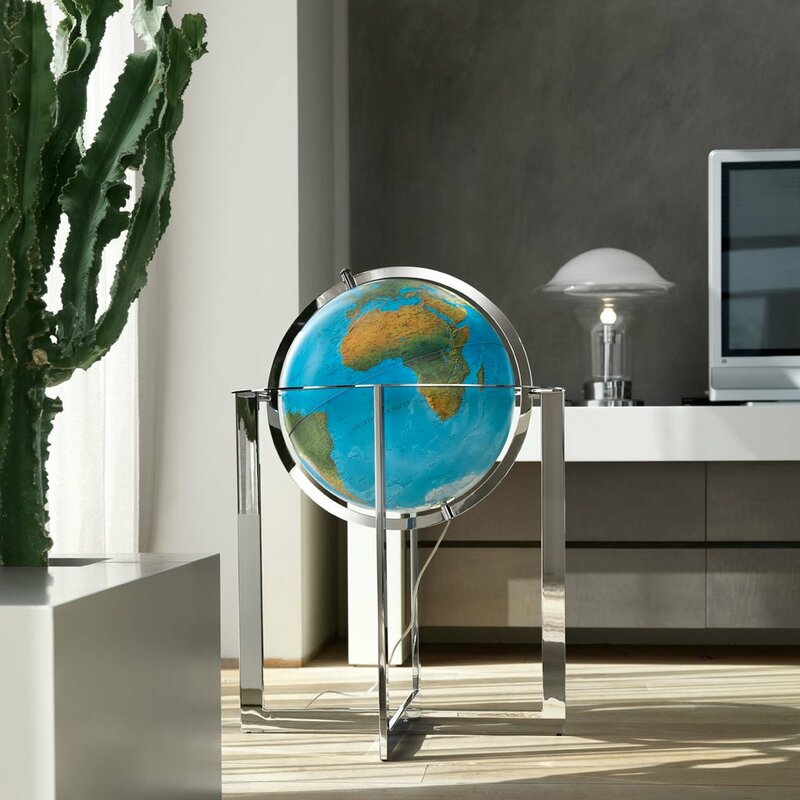 If you are looking for a statement piece for your home or office, look no further than the Maranello Globe. This deep blue-colored globe featuring 1000s of locations and points of interest is an eye-catching addition to any traditional decor. 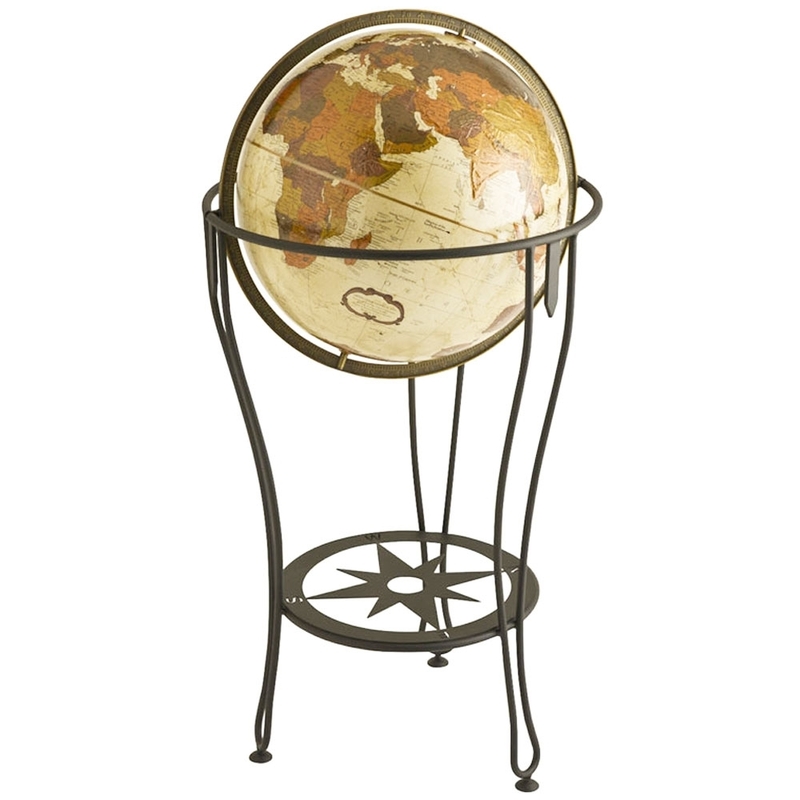 Mounted on a semi-circular stand and solid metal base, this 20-inch globe has a total height of 45.5 inches and weighs 32 pounds. The expert design of the stand, base, and meridian ensure stability as well as a balanced aesthetic. The internal LED makes this an excellent choice for night time lighting. The cartographic features of the globe can be enjoyed by day and are enhance by this lighting feature by night. The contrast of stainless steel metal and the neutral and realistic earth and ocean tones is both classic and modern at the same time. Ultimate Globes Exclusive: This beautiful piece is a synergistic combination of rustic and contemporary. In a style reminiscent of HGTV superstar Joanna Gaines, this globe features a beautiful compass design directly below the antique finished die-cast meridian. 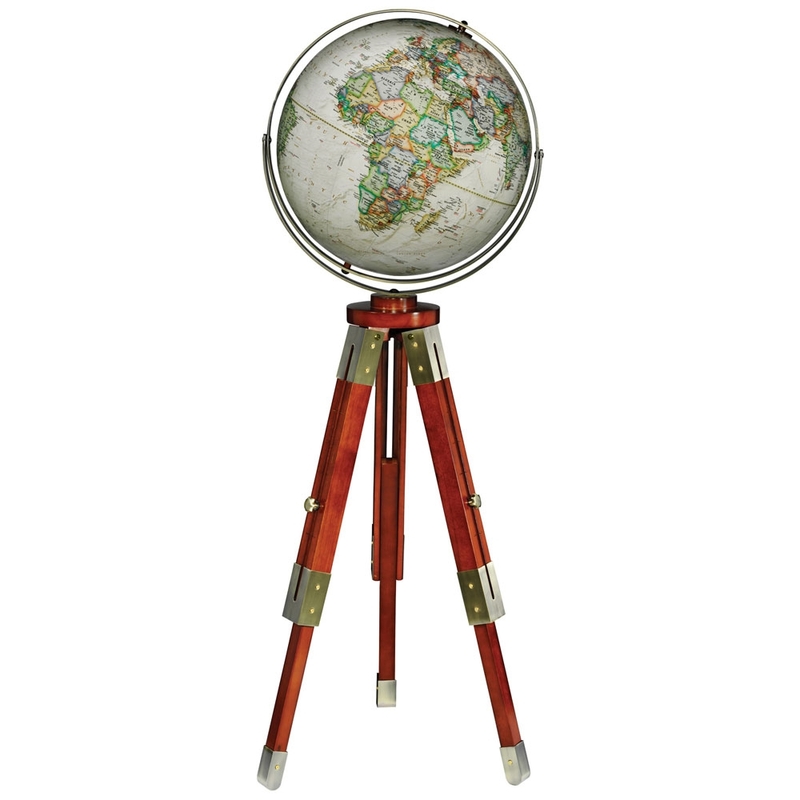 The full swing meridian allows users to move the 16-inch globe in all directions for easy viewing. With its earth-toned finish, 40-inch height, and over 4000 locations and points of interest, this is a great conversation piece for any home or office. keep it relevant to our current environment. The walnut/cherry finished tripod stand and full swing brass meridian add to the elegance of this piece. The globe is 16 inches and the tripod adjusts from 41.25 inches to 52.25 inches. While there is some assembly required, this beautiful globe is absolutely worth it. 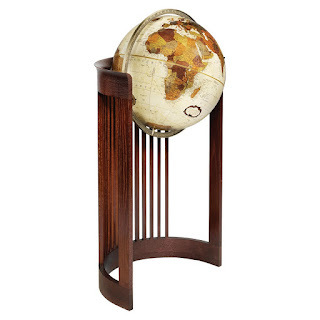 Designed by Replogle, this slightly smaller globe adds an understated elegance to any room. A 12-inch globe that stands a total of 35 inches tall with the stand, the Lancaster features approximately 4000 locations and points of interest as well as clearly delineated country and state boundaries. 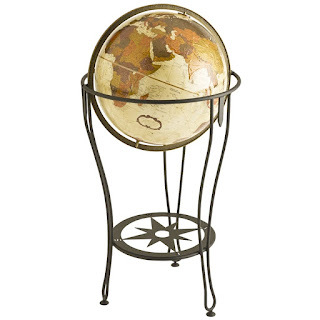 This beautiful full swing bronze globe situated on a cherry finished stand offers a unique modern touch to any design. 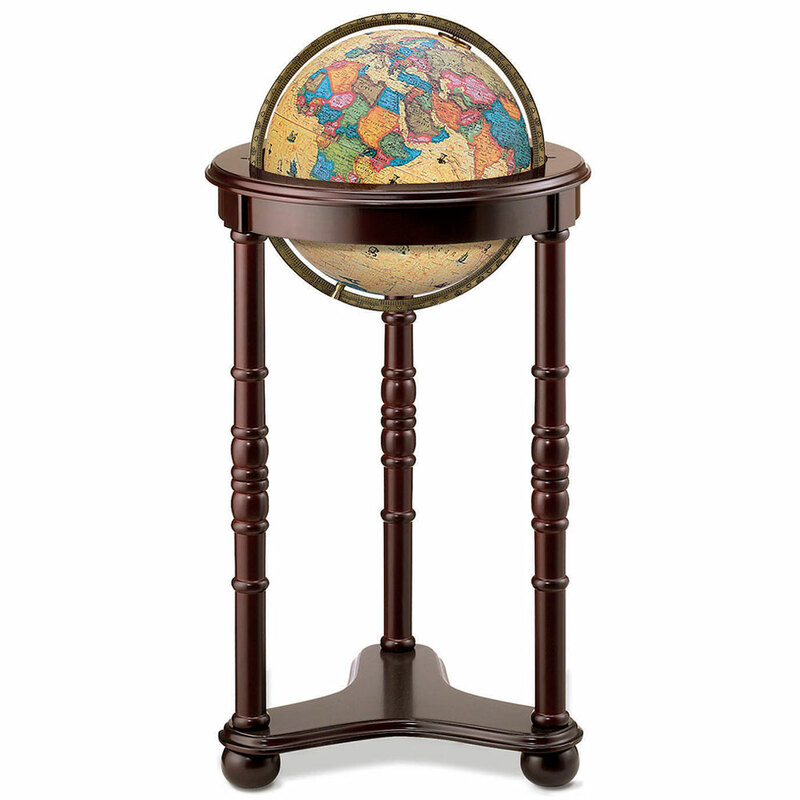 The raised relief of the globe combined with the die-cast numbered meridian make this a truly original and artistic piece that will be a treasured gift for years to come. Also by Replogle, the 16-inch Frank Lloyd Wright Barrel World Globe is a magnificent piece of art that is truly in a league of its own. The stunning stand is adapted from a modification of the famous Barrel Chair originally designed by Frank Lloyd Wright in 1903. The globe stands a total of 39 inches tall and its distinct features, antique details, and unique charm make it worthy of a place of prominence in even the most elegant rooms. This gift not only shows careful thought but an intricate attention to detail and an innate eye for beauty. Not only do we pride ourselves on delivering beautiful globes at a great price, but our experts also provide the best service in town. Each globe comes with an extended 1-year limited warranty and guaranteed discounts on any future globe updates. We would love to help you choose the right globe to awe your loved ones this holiday season, contact us today to get started.